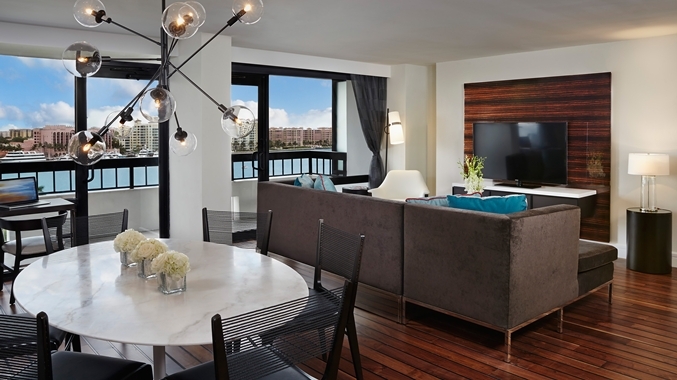 Formerly the Boca Bridge Hotel, the 139 room Waterstone Resort & Marina has completed a renovation of more than $10 million, offering a distinct waterfront experience on the Intracoastal Waterway of the east coast of South Florida. 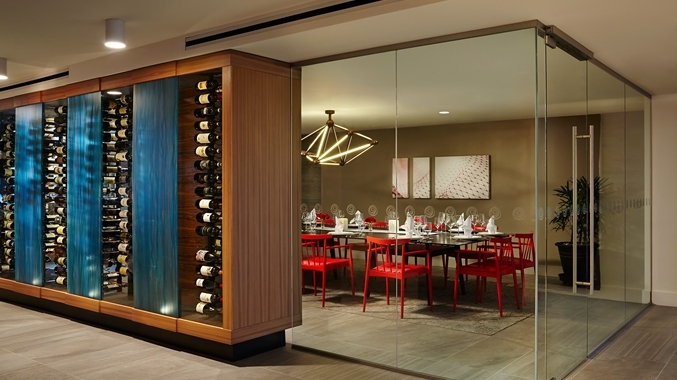 Royal Contract Lighting supplied lighting for all 139 guestrooms, as well as custom fixtures for the lobbies, meeting spaces and restaurants throughout the hotel. Managed by Spire Hospitality, a subsidiary of AWH Partners, LLC, the Waterstone Resort & Marina received the 2014 Developer of the Year DoubleTree Brand Award from Hilton Worldwide in recognition of excellence in renovation, conversion, development, project management, community impact and investments. 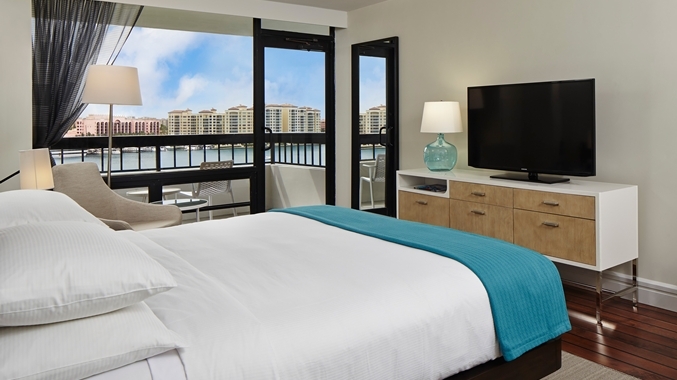 The bold redesign and new name celebrate the hotel’s distinctive waterside location among the pristine beaches, championship golf courses, world-class dining, and upscale shopping of Boca Raton. Gensler, a global design and architectural firm, was commissioned for the rebranding and redesign of the award-winning hotel. 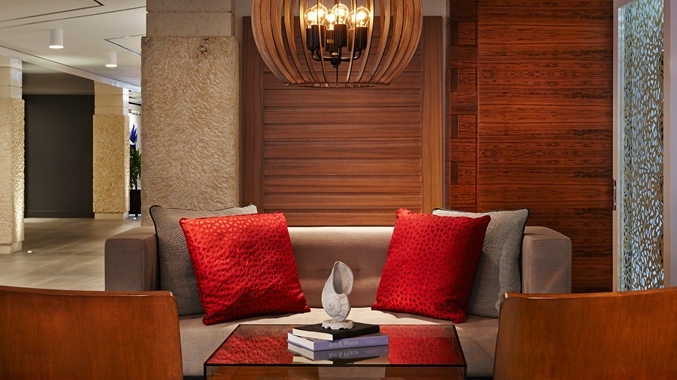 The new contemporary design concept seamlessly marries water and stone as artistic elements. Custom-made furnishings, contemporary artwork and accessories blend opulent, Boca Raton style with breezy, sophisticated coastal design. “The custom-designed lighting adds a light, whimsical touch to the guestrooms,” says Paul Spacek of Royal Contract Lighting. 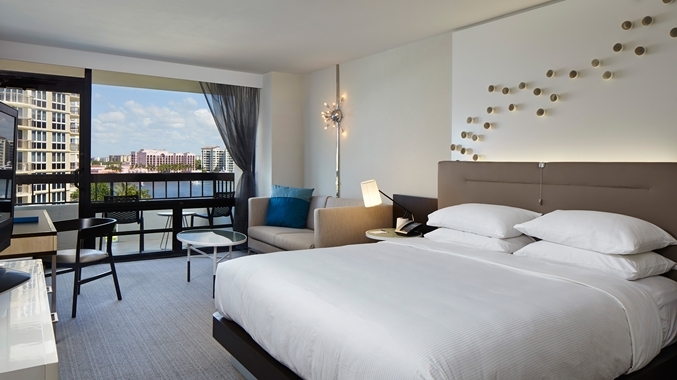 Turquoise glass bedside lamps and chandeliers that evoke sea urchins bring the marina theme to the hotel’s guestrooms. “We were able to provide a UL listed LED tape lighting solution for the custom-made headboard, which illuminates the water-bubble wall art above the bed,” add Spacek. 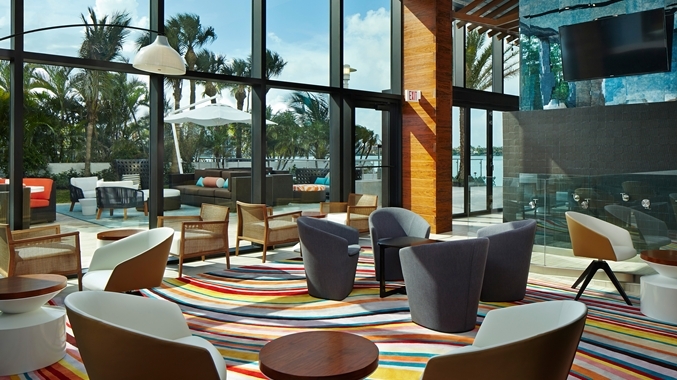 A stunning lobby evokes a heightened sense of arrival, and upgrades throughout guestrooms and public spaces reflect the property’s signature waterside locale. 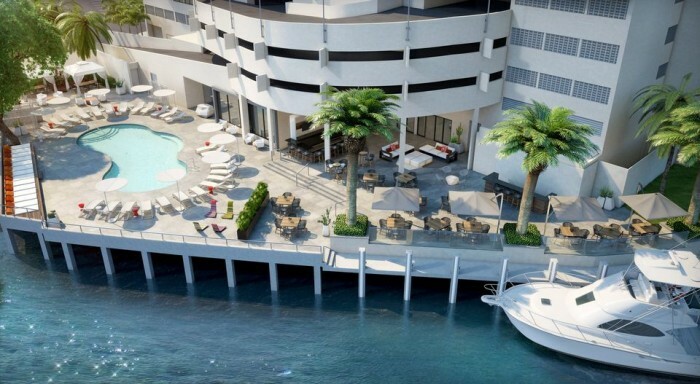 A 270-foot wraparound seawall and dock dubbed the “waterfront promenade” offers the only “dock to dine” option in Boca Raton with the opportunity to arrive by boat and dine on the water at the resort’s outdoor restaurant. “The creative design and functionality of the resort, combined with location and amenities genuinely makes this resort an incredibly special addition to South Florida” says Russ Flicker, principal of AWH Partners.